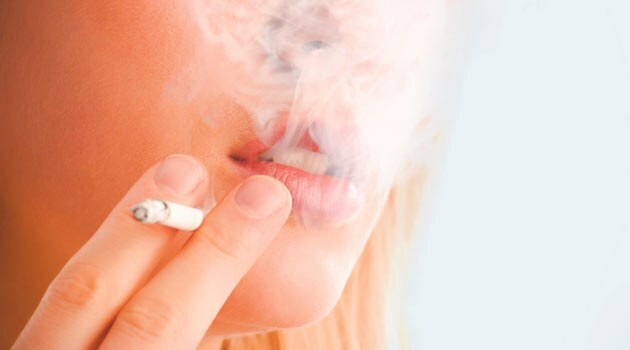 The problem of Smoking affects a huge number of people, most of them are passive smokers, as this nasty smoke everywhere – on the street, in cafes, in the toilets of many institutions. If one of the family members is a smoker, sooner or later, the apartment starts to get nasty and stubborn smell of cigarettes, from which escape is not so easy as it might seem at first glance. As we all know, the tobacco smell is most strongly absorbed in the tissue. So first of all wash all the bedspreads, quilts and curtains. If in the closet smelled of all things – will have to pay due attention to the long and tedious washing, but without it you just can't get rid of the bad smell. Pillows also should be washed (or dry-cleaned) or replace the new one. Thoroughly clean all the carpets and rugs by using a washing appliance with the addition of soft, fragrant shampoo for textiles. If you do not have in their Arsenal such a useful device, then you will have to do it manually or take it to a dry cleaner. Admirably with unpleasant smellAMI a tool such as "Vanish". To start, vacuum the carpet, and then using the MOP spread a uniform layer of foam across the surface of the carpet. After the foam is dry, vacuum. To get rid of the smelland cigarettes in the apartment, will be subjected to damp cleaning and cleaning all water resistant surfaces: walls, ceilings, window sills, Windows, etc. In a basin with warm water add a small amount of vinegar, it will help to cope with the stubborn smellAMI. Walls are also recommended to be washed only if they are painted or pasted washable Wallpaper. If the walls are paper Wallpaper, then you have to act more dramatically – to glue Wallpaper, because the paper absorbs the unpleasant smellI. Great decision, you will have to shell out a considerable amount of money to buy a flavoring air. This apparatus works on the basis of the cold evaporation, Squirting a nice smell in small portions independently and distributing it by means of a fan around the perimeter of the room. Wet sheets and towels in cold water and hang in all the rooms, they are fast enough to absorb nasty cigarettesNY smell. Put into a clean ashtray one Bay leaf and set it on fire. The smoke of Bay leaves will help to kill the tobacco smell. Go with the glow sheet in the ashtray for all the rooms of the apartment. Thanks to such methods, from the unpleasant cigarettetion smelland will not be over. And, of course, do not let people smoke in your apartment. Send to a balcony or porch, protect your health and home from cigarette smoke.